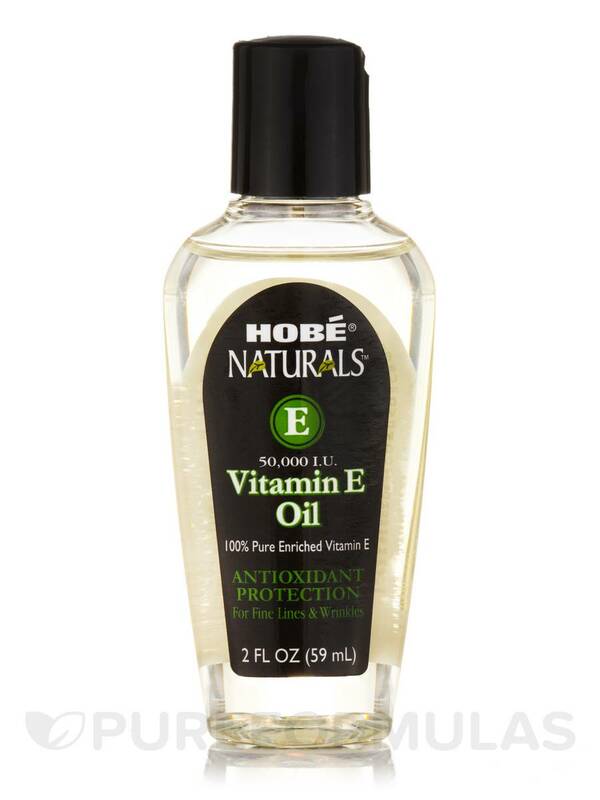 This Hobe® Naturals™ Vitamin E Oil 50,000 IU by Hobe Labs is a great vitamin E product! It has a lovely lemon scent and it is not too thick. I also love it because it has a high IU of 50,000. Antioxidant Protection for Fine Lines and Wrinkles! This high potency‚ 100% pure enriched Vitamin E oil helps provide anti-aging protection against fine lines‚ wrinkles and stretch marks. 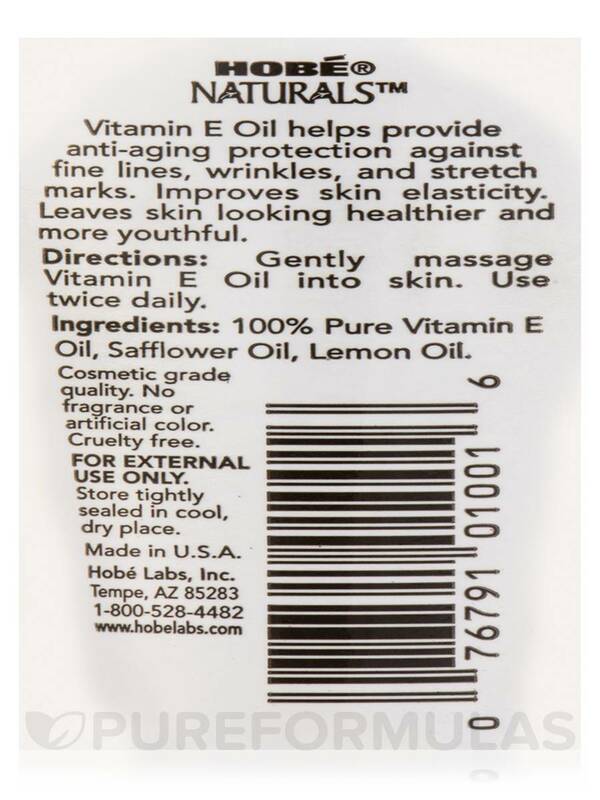 Infused with hydrating Safflower Oil and Lemon Oil‚ Hobé Naturals™ Vitamin E Oil improves skin elasticity and fights against free radical damage—leaving skin looking healthier and more youthful. 100% Pure Vitamin E Oil‚ Safflower Oil‚ Lemon Oil. No fragrance or artificial color. 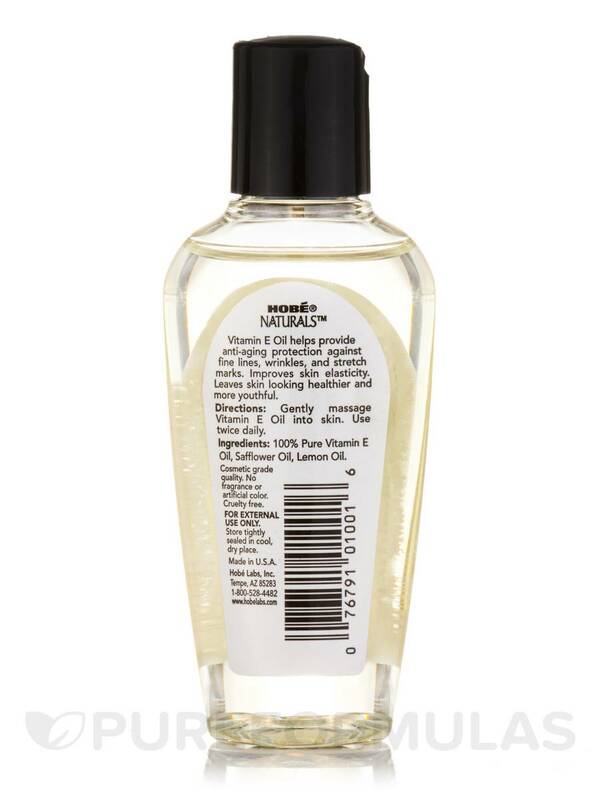 Gently massage Vitamin E Oil into skin. Use twice daily. It's not too thick in consistency and for those who need more than 1oz its a reasonable price for a 2oz bottle considering vitamin e oil is pricey. There's nothing I don't like. Its perfect!